One of the most iconic names among celebrity photographers is Mark Seliger. Throughout his more than three-decades-long career, he has managed to capture distinct portraits of various musicians, actors, artists, sportsmen, and politicians. With an astonishing sense for composition and the atmosphere in which the portrayed subject feels most comfortable, Seliger built a specific and recognizable storytelling aesthetic. The photographs of this prolific figure were featured on magazine covers, in advertising campaigns, and feature articles on numerous occasions. Soon on view at Fahey/Klein Gallery will be a retrospective by featuring a great number of exquisite portraits Seliger made during the years. In 1987, Mark Seliger started working for Rolling Stone magazine and from 1992 until 2001 he was their chief photographer. During the same year, the photographer transferred to Condé Nast and published his works on a regular basis in magazines such as Elle, Vanity Fair, GQ, and German and Italian Vogue. A non-profit exhibition space for photography titled 401 Projects was established by himself and Brent Langton in 2011. There, a number of Seliger’s works were published: When they Came to Take My Father: Voices from the Holocaust(Arcade, 1996), In My Stairwell (Rizzoli, 2005), and On Christopher Street: Transgender Stories (Rizzoli, 2016), to name a few. This upcoming exhibition will reflect the high level of craftsmanship of Mark Seliger; the way he masterfully captures the celebrities both as ordinary people and as godly creatures whether they are portrayed in their personal environments, public space or in the studio. The audience will be able to see the celebrity photography by Seliger at The Fahey/Klein Gallery from 29 November 2018 until 19 January 2019. Below, find our 5 highlights from the show! Mark Seliger’s extraordinary portfolio is 30 years in the making. In 1987 Seliger began shooting small assignments for Rolling Stone; in 1992 he became their chief photographer, a position he kept for 15 years. During the course of his time at the magazine, he photographed more than 125 covers. He has captured some of the most iconic images of the most famous and influential faces of our time, including Kurt Cobain, Nelson Mandela, Leonardo DiCaprio, Barack Obama, Hillary Clinton, Emma Stone, Angelina Jolie, Bruce Springsteen, David Byrne, Matthew Barney, Jennifer Lawrence, Mick Jagger, Bob Dylan, Jerry Seinfeld, Jay-Z, Misty Copeland, Amy Schumer, and Paul McCartney. 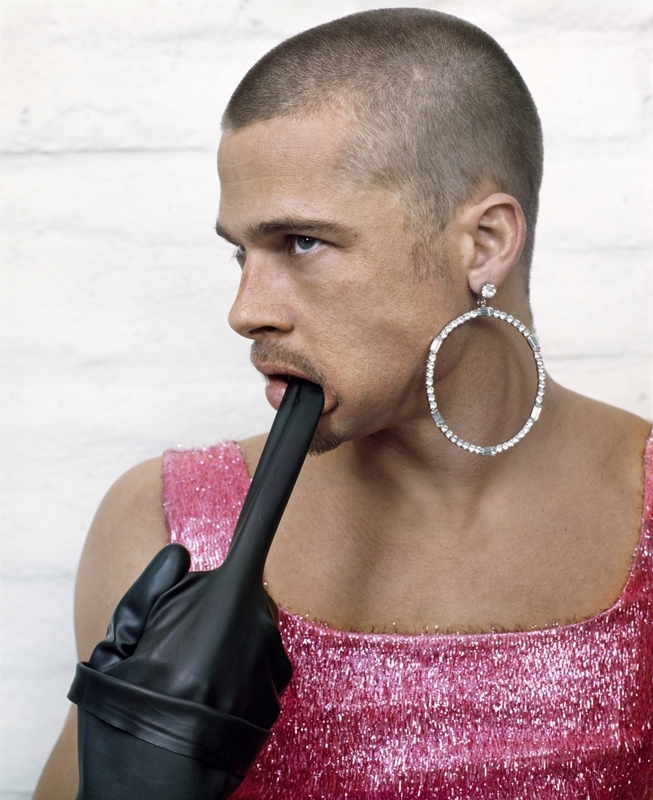 Featured image: Mark Seliger – Brad Pitt, Palm Springs, CA, detail, 1998. Photograph by Mark Seliger / Courtesy of Fahey/Klein Gallery, Los Angeles.